Our FAR process was actually modeled after our academic program review process, which has been around for decades. Our guidelines state, the “functional area review is a process of evaluating to what extent a service or program has been successful in achieving its intended goals, through systematic collection and analysis of information relevant to those goals.” This practice is admittedly still in its infancy, as we are just concluding our third cohort of participants. I was among the first cohort in 2011-12, and while I was not new to the student affairs field, it was an intimidating undertaking at first. But, it ended up being an unprecedented opportunity for me to begin my tenure as director of campus life with a comprehensive audit of my department’s history, functions, and strategic directions. objective data on which to base programmatic or area decisions. 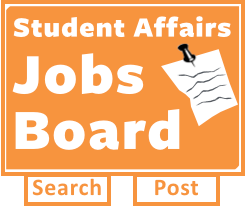 formal recommendations for the functional area which are reached by the joint participation and input from faculty, staff, administration, and external review teams. action plans for accomplishing the above recommendations. directions for renewal and development. a review of processes and procedures. an on-going process that uses data for continuous improvement. Functional areas that complete the process in the time allotted (one year) are eligible for up to $1200 to support a recommendation identified through the FAR process. When I went through the FAR process, one of our recommendations necessitated we collect better data on who attends our events so we could in turn better assess the intended outcomes of our programs. We purchased handheld ID scanners with our funds that now enable us to swipe student ID cards and thereby track if our attendees are freshmen or sophomores, who lives on or off campus, how old they are, what their major is, and how many credits they’ve completed. We then assess this data for patterns to confirm and improve our quality of programming. But let me back up. WHY does SUNY JCC even have the Functional Area Review process? 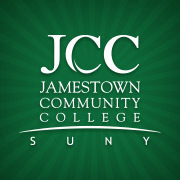 In 2008, Jamestown Community College formed an Institutional Effectiveness Committee in preparation for its Middle States re-accreditation visit expected spring 2011. Each of the 14 Middle States standards for accreditation were assigned to a sub-committee for internal review. In recent years, lots of institutions of higher education have received poor marks on Standard 2: Planning, Resource Allocation, and Institutional Renewal; Standard 7: Institutional Assessment; and Standard 14:Assessment of Student Learning. In anticipation of these areas receiving close examination, the Institutional Effectiveness Committee observed that our college was “missing a mechanism to systematically organize goals,” says Barbara Russell, Dean of Institutional Research at SUNY JCC. Thus, to meet Standard 7 head on, JCC’s Functional Area Review process was piloted. During the Internal Review phase, the department undergoing review assembles a core group of individuals from within the department and at least one colleague from outside the department at the institution. The internal team conducts self-assessments of its programs, services, and processes and determines self-directed priorities for for the next five years. The internal team also produces a preliminary report which is archived at the institution and shared with the external review team to help them prepare for their visit. The External Review Team visits are by far the most energetic part of the process say both Zagora and Russell. The internal team selects three or four external reviewers from comparable institutions and invites these individuals to come to our institution to conduct focus groups and interviews that ultimately provide the internal team with recommendations. Fantastic conversations stem from these visits that bring energy and excitement to the overall assessment process, and the momentum of the FAR process is in fact sustained by the human interaction and educated dialogues sparked by these fresh set of eyes says Zagora. External review team members usually visit for one or two days and receive mileage, meals, and accommodations – an indication of true investment by the institution to this process. The third and last phase, Closing the Loop, involves the FAR leader (usually the department director) compiling all the recommendations from both the internal and external teams and reviewing these with their supervisor for feasibility, viability, and appropriateness. The recommendations that are pursued are slotted for completion over the next five years. These recommendations are certainly not the only goals pursued for the foreseeable future, but they chart an initial course. As with every young initiative, we’ve learned some lessons along the way. Here are a few reflections from our vice president of academic affairs. First, Zagora says, there needs to be time and space to support the FAR team leaders individually and as a cohort. From the start, our dean of institutional research gathered each unit’s FAR leader in a meeting about once a month to discuss progress and answer questions that were arising during the year-long process. This practice has since been copied by the academic program review side. Second, Zagora believes betterpublic celebration of the work accomplished by the units who’ve complete the process is needed so everyone at the institution on both sides of the house are more aware of the outcomes. Third, Zagora says it’s not enough to simply set goals as a functional area; there needs to be a standard across all units for regular and systematic assessment. For us, this is the Functional Area Review. My experience with this process was positive and valuable. Since conducting my own FAR, I’ve been asked to serve on the internal review team for other departments every year. Next year, our Campus Life department will be undergoing it’s second Functional Area Review. It is my hope that readers use this outline to spark conversations about accountability to the planning process at your home institutions just as we do.